What do this mean? 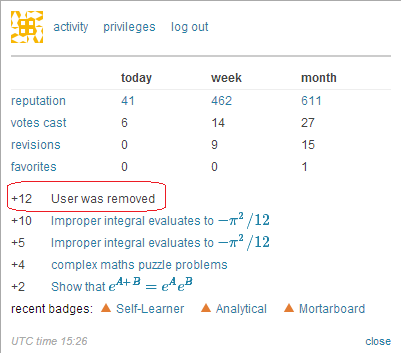 User was removed? And I gained $+12$ Repo due to this. Someone downvoted you, and now the votes were reversed.